Creators of Brushfire, Historia Rodentia, and Endless: Fantasy Tactics; we specialize in miniatures gaming. Brushfire is a skirmish based wargame with a unique historical fantasy setting. Each of Brushfire factions are based on historical armies, but uses anthropomorphic representations of the nation's wildlife as soldiers. 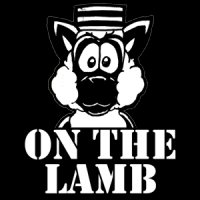 On The Lamb is moving! No Comments on On The Lamb is moving! Do Not Pursue Lu Pang! No Comments on Do Not Pursue Lu Pang! Endless: Fantasy Tactics – Rules Now Free! No Comments on Endless: Fantasy Tactics – Rules Now Free! We will be at Anime Weekend Atlanta next weekend, stop by booth #340 for Endless: Fantasy Tactics demos and goods.